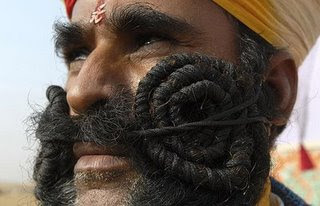 Natural – Moustache may be styled without aids. The hairs are allowed to start growing from up to a maximum of 1.5 cm beyond the end of the upper lip. 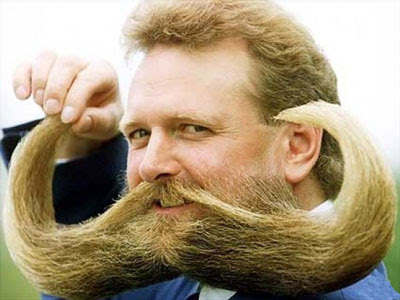 Hungarian – Big and bushy, beginning from the middle of the upper lip and pulled to the side. The hairs are allowed to start growing from up to a maximum of 1.5 cm beyond the end of the upper lip. 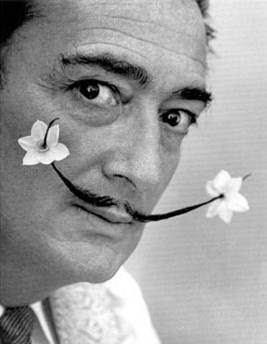 Dalí – narrow, long points bent or curved steeply upward; areas past the corner of the mouth must be shaved. Artificial styling aids needed. 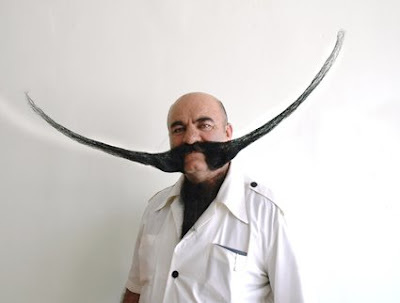 Named after Salvador Dalí who was known to paint with the tips of his moustache. 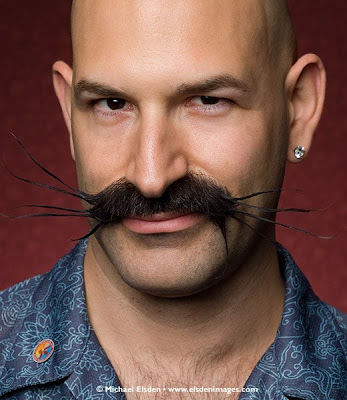 English – narrow, beginning at the middle of the upper lip the whiskers are very long and pulled to the side, slightly curled; the ends are pointed slightly upward; areas past the corner of the mouth usually shaved. Artificial styling may be needed. 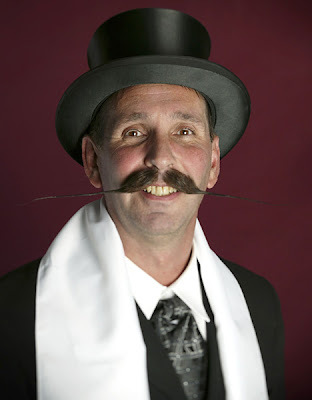 Freestyle – All moustaches that do not match other classes. The hairs are allowed to start growing from up to a maximum of 1.5 cm beyond the end of the upper lip. Aids are allowed. 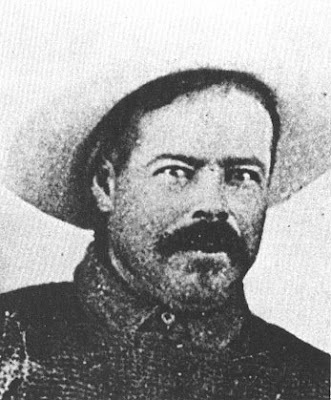 'Pancho Villa' moustache – similar to the Fu Manchu but thicker; also known as a "droopy moustache", generally much more so than that normally worn by the historical Pancho Villa. 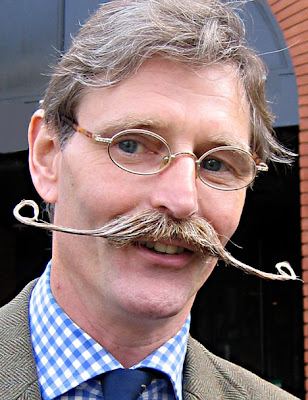 Handlebar – bushy, with small upward pointing ends. See baseball pitcher Rollie Fingers. Also known as a "spaghetti moustache", because of its stereotypical association with Italian men. 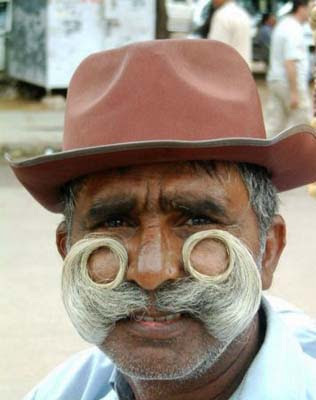 Horseshoe – Often confused with the Fu Manchu style, the horseshoe was possibly popularized by modern cowboys and consists of a full moustache with vertical extensions from the corners of the lips down to the jawline and resembling an upside-down horseshoe. 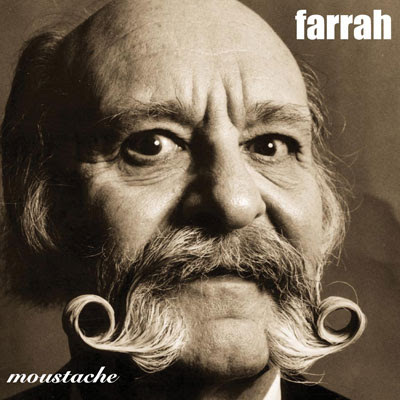 Also known as biker moustache. 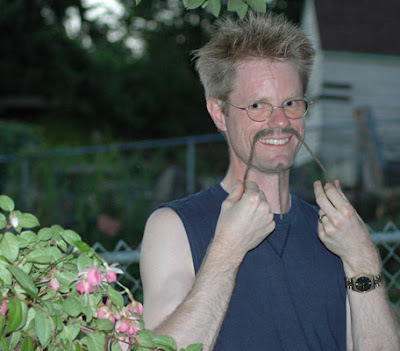 Pencil moustache – narrow, straight and thin like a pencil, closely clipped, outlining the upper lip, with a wide shaven gap between the nose and moustache. Also known as a Mouthbrow, worn by John Waters. Chevron - thick and wide, usually covering the top of the upper lip. NASCAR driver Richard Petty wears a narrow Chevron. 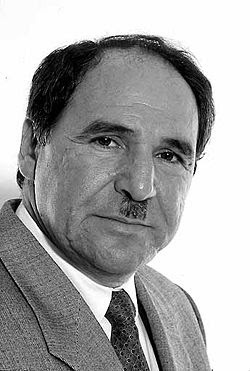 Toothbrush – thick, but shaved except for about an inch (2.5 cm) in the center; associated with Adolf Hitler, Charlie Chaplin, Oliver Hardy, and Robert Mugabe. The GG – bushy hair grown only over the corners of the mouth, shaved in the middle. Named after musician and performing artist GG Allin, the most well-known wearer of the style. It is a shortened version of the one worn by Genghis Khan. 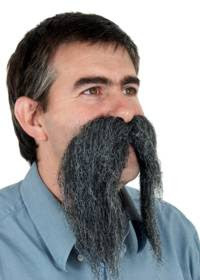 A Fu Manchu - the mustache is a full mustache that extends downward past the lips and on either side of the chin and might go all the way down to the toes. 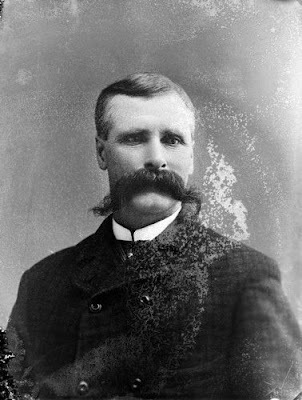 Often, the ends of the mustache will hang past the jaw, with pointed or tapered ends. 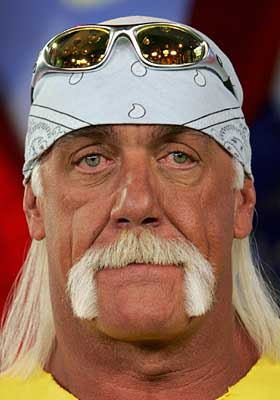 The Fu Manchu is similar to the more common horseshoe (or "biker") moustache. I just love have one like those... Full, great, like a natural, or hungarian maybe. Now I can't decide which one to grow. Since I'm only 9 years old, I guess it doesn't matter. were girls and we think mustaches are hot!! Not!!!!!!!!!! It will never be out of style and will always be a hit fashion trend! I think I'm in love!!!!! 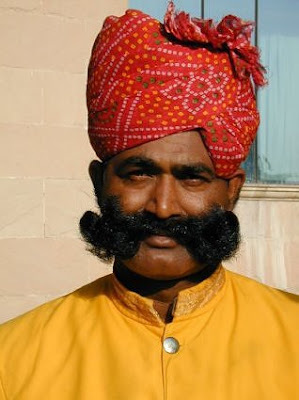 i aspire to be like you, the world is so unfair why can't girls grow moustaches? oooooh, moustaches are amazing! these are just glorious though! Wow u people need a hobbie!!!! From the 2 girls that think moustaches are hot!! NOT!!!!!! 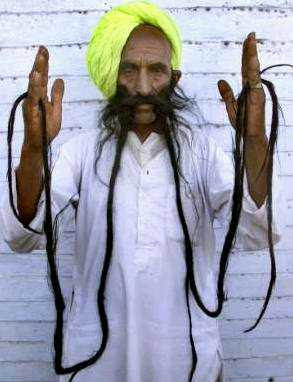 to the again most recent anonomous poster i no u lol ( lily jasdeep) ohh i mean girls who think moustaches are hot!!(not)!!! All you mfs don't have anything to grow up on your faces????? the first dude is scary and dali can't be beat. 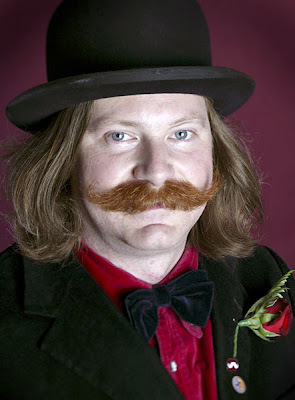 Surely you would consider taking utmost care of your moustache a viable hobby? Perhaps by pointing out that these kings among men require a hobby or a pastime you are highlighting your own lack of time consuming activities and confirming that infact you need a pastime of sorts? Ever hear of an 'odobene'? 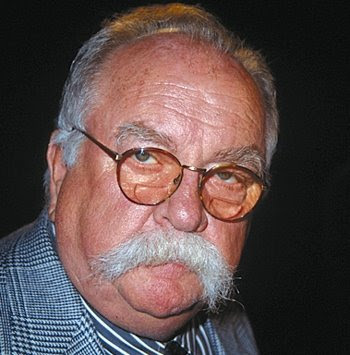 'Looks like a handlebar,but bushier--something like the style worn by Wilfred 'Make Me Smile' Brimley. vibra-eggs now I don't think it's anymore necessary as it's very inconvenient to maintain and does capture a lot of dirt in our now polluted environment which can be unsanitary. Love this post, I re-posted a couple pictures but credited you, thanks so much! Great post! I'm glad to see that moustaches are making a comeback as it makes it easier to find wax. I love my handlebar! Wow... I don't know whether to look away in despair, or attempt with all of my might to copy. I'm caught in a personal tug of war with my inner most feelings. 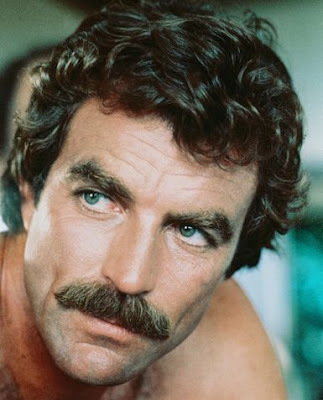 Growing up, I idolized guys like Magnum P.I. and (Smokey & the) Bandit. 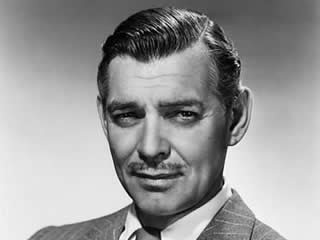 Cripes, my dad stills wears a "Thomas Magnum" to this day. As men, I think we all yearn to wear one of these soup catchers... But something inside our minds tells us we that we had better not in case someone "fingers us" as being a child molester. I want a Dali one or a walrus one. However I'm a girl so I guess I'm setting my sights to high. I'll make my dad get a toothbrush one!! HA! The old 70's and 80's Baseball Staches rock! There have been some crazy mustaches in the major leagues lately, but that spaghetti stache is priceless. Go A's! why is Frank Zappa not on this list? What about the Nietzstache? truly an wonder to behold! I have a handlebars moustache!!! The baseball player from the 80's with the handlebars moustache is Rollie Fingers, and I believe (may be wrong) that he actually pitched a no-hitter on acid!! Was either him or oil can Boyd!!! 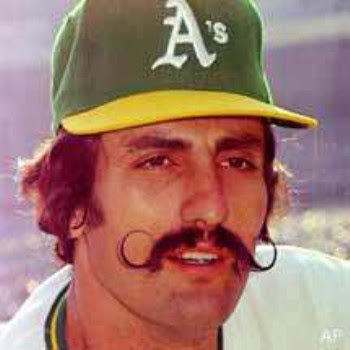 Rollie Fingers pitched a game on acid? 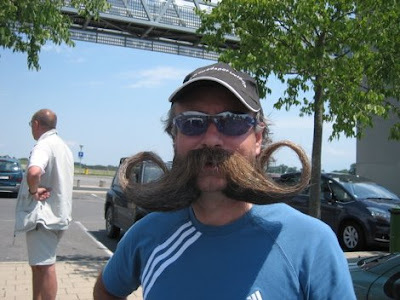 That would curl my stache too! I wear the GG from time to time, usually without the beard part as that wasn't always accompanying the mustache. Right now I'm currently sporting (what I NOW know as) the horseshoe. Used to think it was called the handlebar, but guess I'm misinformed! 19 year old stache connoisseur here. Mustache power!